Looking to utilize LinkedIn ads to reach your target audience? LinkedIn Sponsored InMail ads are a great way to start! LinkedIn Sponsored InMail ads are a way to expand on your email campaigns to your target audience via LinkedIn. 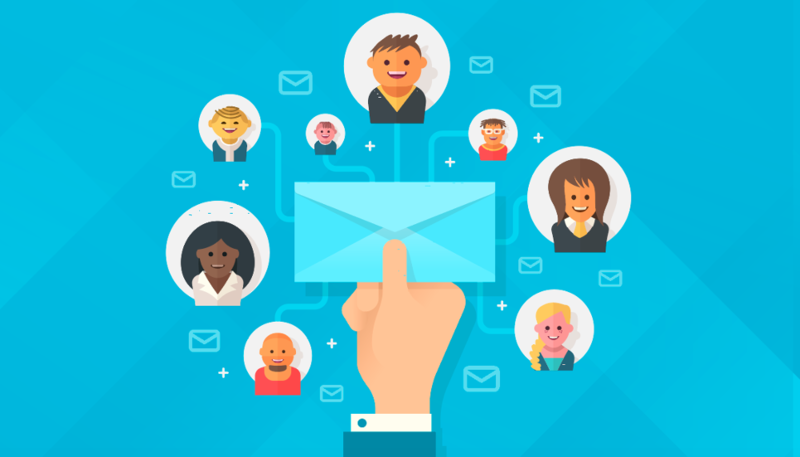 Sponsored InMail gives you an opportunity to reach individuals whose email or contact information you may not have, but they fall into the criteria (that you set) of individuals that would be interested in your message. The best part about it? Your messages are only sent to users that are currently on LinkedIn so you’re reaching out when you know they are already online! 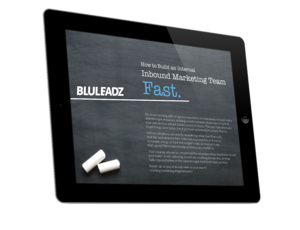 But, where do you start and how do you set these campaigns so you can generate more leads? Well, you’re in luck – in this article, we’ll walk you through best practices for setting up your LinkedIn Sponsored InMail ads. 1. Choose a Credible Sender. An important starting point for creating your LinkedIn Sponsored InMail ad is deciding who your sender will be. The name tied to your message should be relevant to the person receiving the message. Their job title should also be credible in order to show value to the message. For example, if Bluleadz was to send a marketing message, our sender would most likely be our marketing manager or CEO. 2. Make Your Subject Lines Stand Out. Just like your email marketing campaigns, you need to create valuable and engaging content that will stick out in an individual’s inbox. 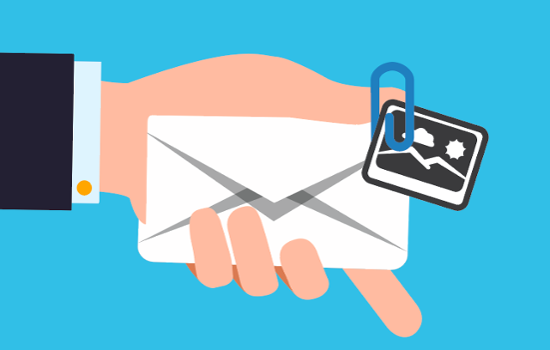 While their LinkedIn inbox may not be as full as their email inbox, you need to still have a catchy subject line that will entice them to open your message. It’s important to keep subject lines short and impactful. LinkedIn mentions that the best performing subject lines include the words: thanks, exclusive invitation, connect, job opportunities, and join us. 3. Create a Valuable Straightforward Message. 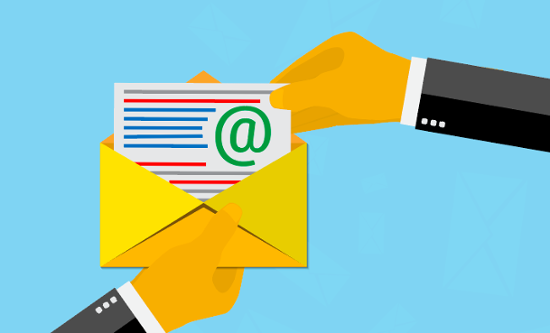 Now that you’ve gotten the reader’s attention with an eye-catching subject line, you need to make sure that you have a valuable and engaging message inside. Chances are, they may not know who you are personally but they fall under the criteria you set. Therefore, you need to have a strong message inside the InMail ad to keep their attention and make an impact. Address them directly by using a customized greeting (you can use personalization tokens in LinkedIn InMail) and also use the word “you” can help make a personal connection instead of sounding like an ad. In your message, you should also be straightforward, relevant and keep your copy under 1,000 characters. Mobile tip: Copy that is over 1,000 characters may not perform as well on mobile devices. 4. Keep Them Engaged With a Clear Call to Action. To make your LinkedIn Sponsored InMail ad effective, you need to keep readers engaged. You’re not just paying them to open your InMail and read your message – that would be a waste of money. You want readers to continue to engage with you. So, you need an obvious, clear, and enticing call to action (CTA) at the end of your message. With LinkedIn Sponsored InMail ads, you can add in a button CTA at the end of your message. However, it is also good to have a text link within your message as well. Top-performing InMail CTA keywords include: try, register, reserve, join, confirm, and download. 5. Use a Strong (But Not Distracting) Image. For InMail ads shown on a desktop, you can add an image to go along with your message (unfortunately, this is not available on mobile). It’s important to have a strong visual that will enhance your InMail message yet not distract them from it. Your image should be relative to the message in your copy, and keep in mind that with images, you are limited to a 300x250 px space. 6. Select the Right Target Audience. The most important part about your Sponsored InMail ads is selecting the right target audience. You’re paying money to get in front of these individuals – so, before setting up your campaign, really think about who you want to target. Use the targeting filters to get in front of more qualified individuals even if that means a smaller pool of people. The first thing to consider is location – meaning the city, state, or even country you want to reach. Then, think about the experience and what level you want these individuals to be. LinkedIn allows you to choose specific job junctions, titles, seniority, and years of experience. Another important thing to consider is what type of company you want these individuals to be from. For company targeting, you can select specific names, industries, size, etc. But the targeting doesn’t stop there; you can also look at education, interest, age, and gender of the individuals you want to reach. As you can see, there are a lot of targeting options so think about it in advance and really make sure you’re selecting the right targeting options that will fit your buyer personas in order to increase qualified leads. 7. Try A/B Testing to Learn How You Can Optimize Your Ads. LinkedIn Sponsored InMail ads allow you to A/B test your campaigns. This is a feature you should always take advantage of. When A/B testing, be sure you only test one variable at a time (this is best practices for A/B testing in general and not just for LinkedIn Sponsored InMail). For instance, you can test two different CTAs or two different headlines, but don’t test both at once. If you do, you won't be able to identify which variable most impacting the ad’s performance. Run A/B tests for about a week or two, and then use the insights to help optimize your ad. 8. Use Analytics to Continue to Improve Your LinkedIn Sponsored InMail Ads. Once your ads have been up for about a week or two, start using the analytics you’ve received to continue to improve your ads and increase performance. You can click on the Demographic tab in your Campaign Manager to receive detailed information about your ad. You can see why type of job title, industry, seniority, etc. of the people who have interacted with your ad. This is valuable information that you should use to improve your content and targeting. We’ve talked about all the best practices for your LinkedIn Sponsored InMail Ads, but there are some major “don’ts” when it comes to your ads, too. It’s important to avoid these red flags so that they don’t affect your performance and not only waste your spend but also hurt your brand. Assertive Content: While Sponsored InMail is a paid form of advertising, you don’t want to sound like an ad. No need to sound super salesy. You should also avoid using too many exclamation points and all caps. You want your content to be conversational and personal, NOT pushy. Vague Content: The receiver should not be left wondering what your message was after reading it. If your content is too vague, you have little (to no chance) of engaging with individuals. Too Much Content: While vague content is bad, too much content is even worse! You don’t need to get into all the nitty gritty details in your message. Your landing page connected to your call to action should hold additional content for readers. Long/Devising CTAs: Your CTAs should be short – like three to four words. Anything that is too long will get cut off on mobile. Also, it should be obvious want they are clicking on. If they think they are going to one thing and get something else, you’ll lose credibility and they will most likely not convert. Hyper-targeting: While targeting is important, it’s also important to not limit your audience. Try to not add more than three targeting criteria in the beginning. After all, you want to be able to optimize your campaigns. With these best and worst practices in mind, you'll be better prepared to start using LinkedIn Sponsored InMail to fuel your lead generation, engage with prospects, and grow your business.